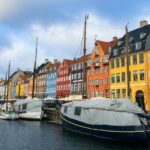 Past Christmas week I was exploring the north of Europe and on Christmas day did a day trip from Copenhagen to the Swedish third largest city. 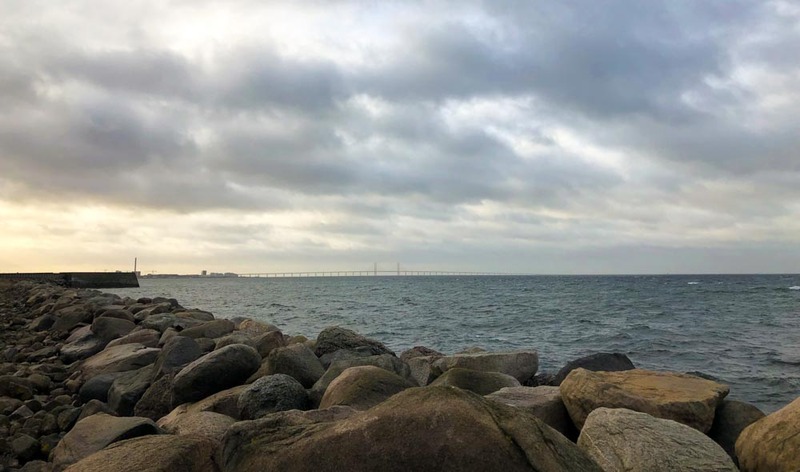 Mälmo is connected to Denmark with the famous Øresund Bridge, so the trip takes only 40 minutes by train. Since we visited on Christmas Day, the tourist attractions and restaurants were closed. 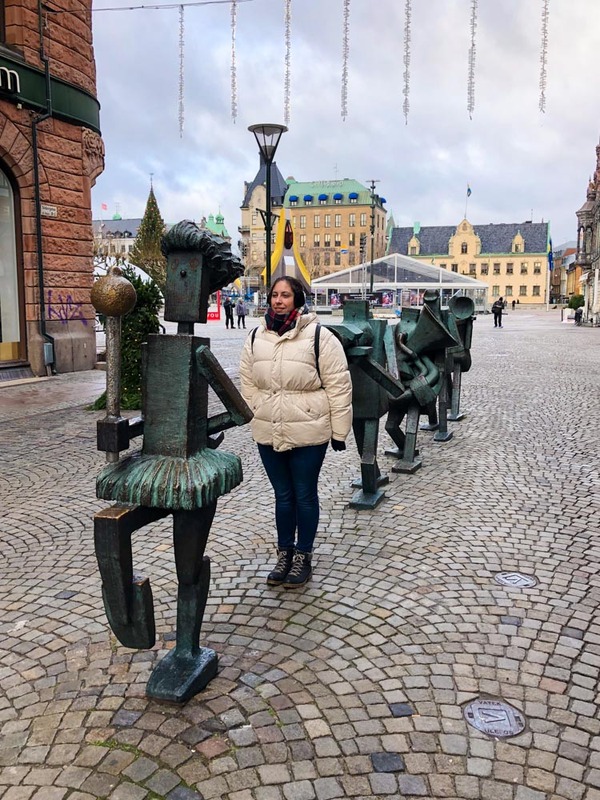 However, Mälmo is a small city, a mixture of historical and modern buildings, perfect for walking around, admiring architecture and green spaces. I also didn’t mind there were no crowds anywhere. So, what spots in Mälmo are worth exploring? Mälmo’s main square Stortorget was built in the 16th century and it was with 2,500 square meters the largest market square in Northern Europe at the time. 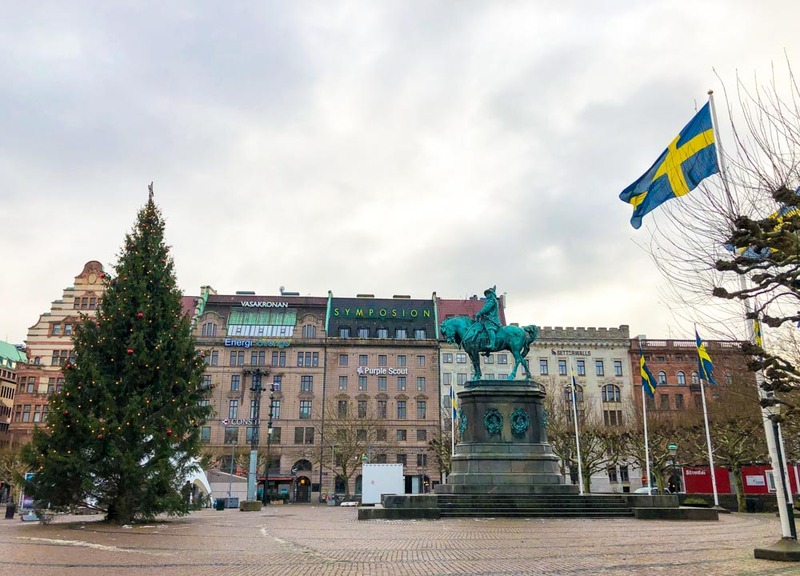 Today the center of the square is occupied with statue of King Karl X Gustav, who had conquered the former Danish provinces of Skåne, Blekinge and Halland and had united them with the Swedish Empire. Beautiful historical buildings surround the square. 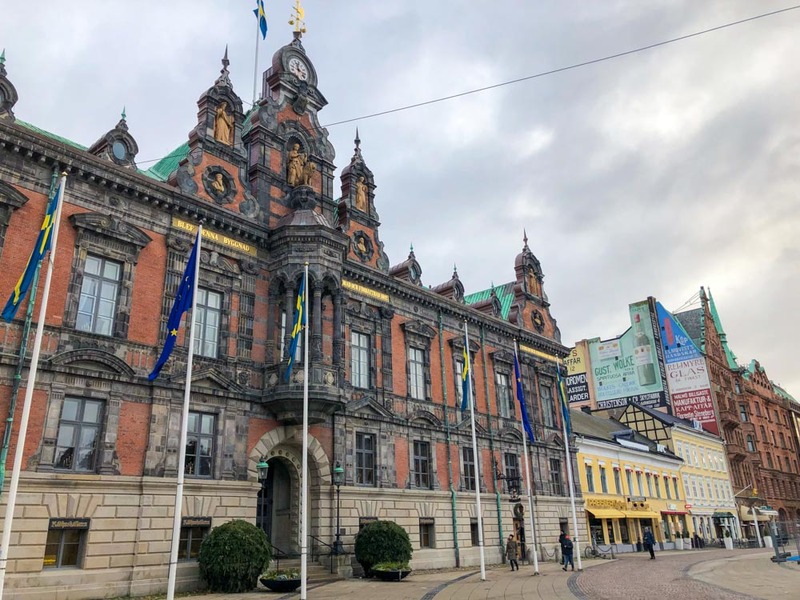 Here you will find the Town Hall, the headquarters of the provincial government of Skåne län and Kocksa Huset palace. There are also some painted commercials on the buildings from the beginning of the 20th century. Don’t miss visiting the inside of an old pharmacy Lejonet. Stop also at the interesting Optimist Orchestra sculpture, which shows a marching band being led by a drum majorette. Just around the corner of the Stortorget is also the St. Peter’s Church, which is open on Christmas day. 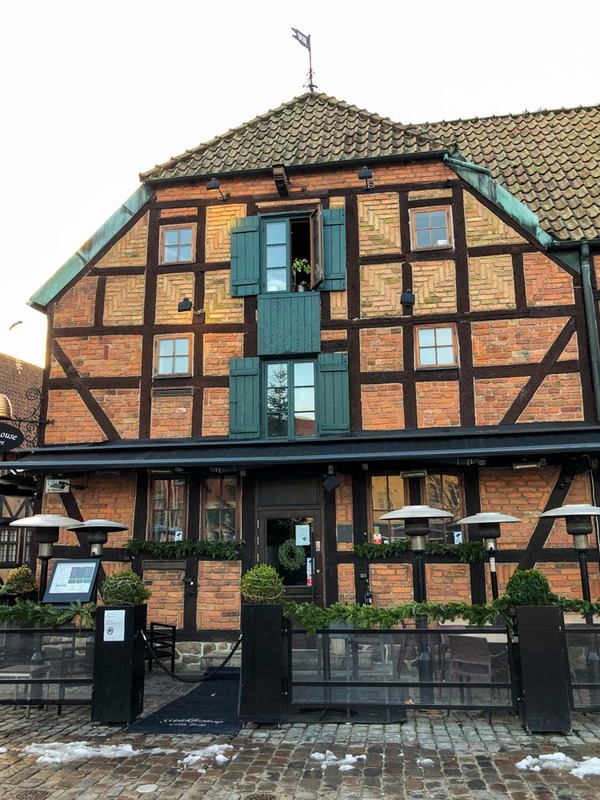 It was built in the 14th century and it is the oldest building in the city. 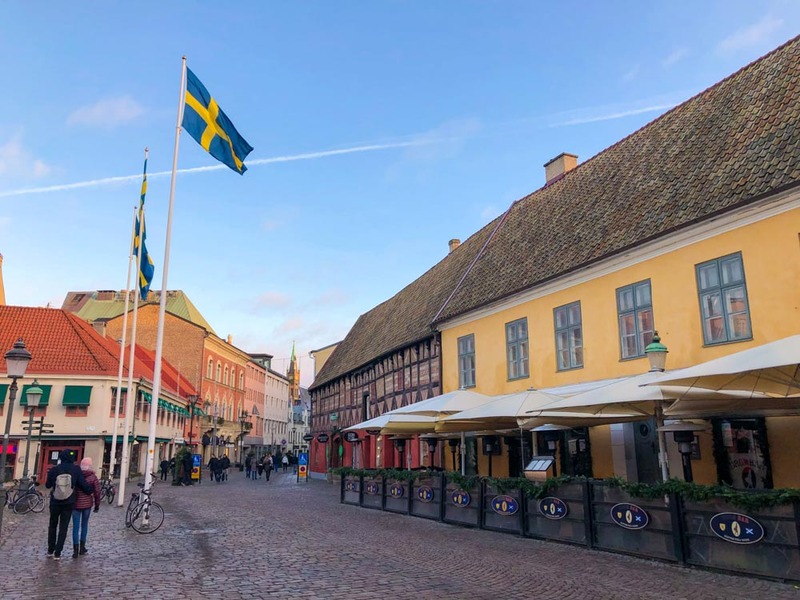 The little square Lilla Torg was also built in the end of the 16th century, once Stortorget was not big enough for Malmö’s market anymore. 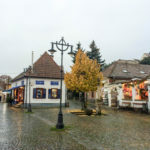 Today it’s small and cozy place with beautiful historical buildings, cute shops and restaurants. 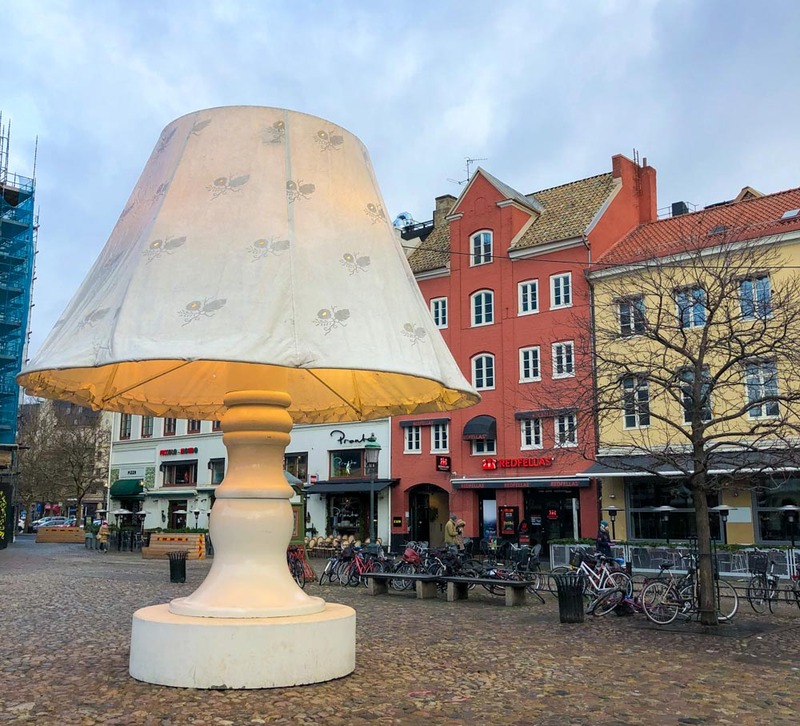 It’s easy to fall in love with Lilla Torg and for me it’s the cutes square in the city. 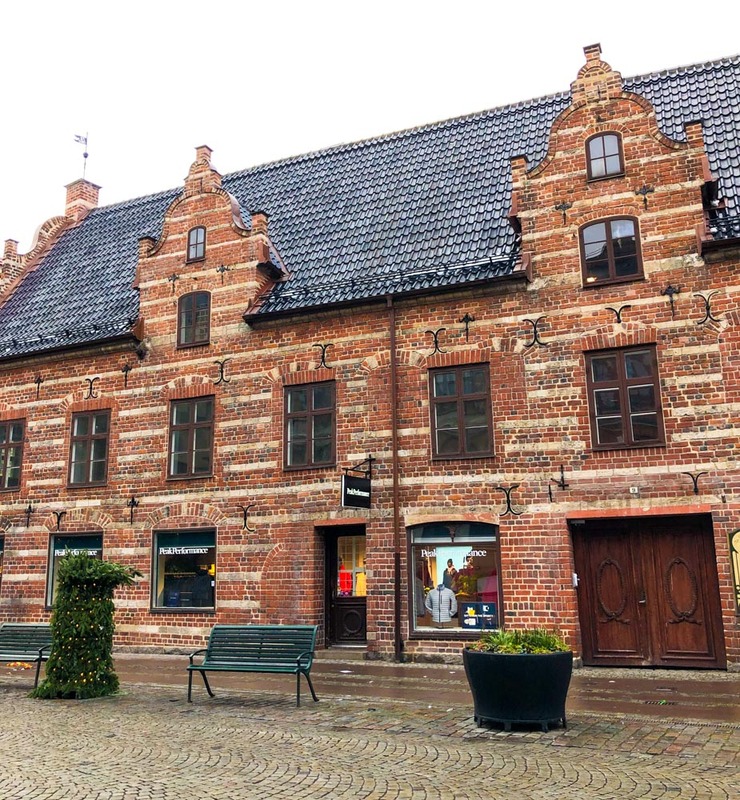 Main shopping street Södergatan, which connects Stortogert with the city’s second largest square Gustav Adolf Torg, is also full of old buildings to admire. 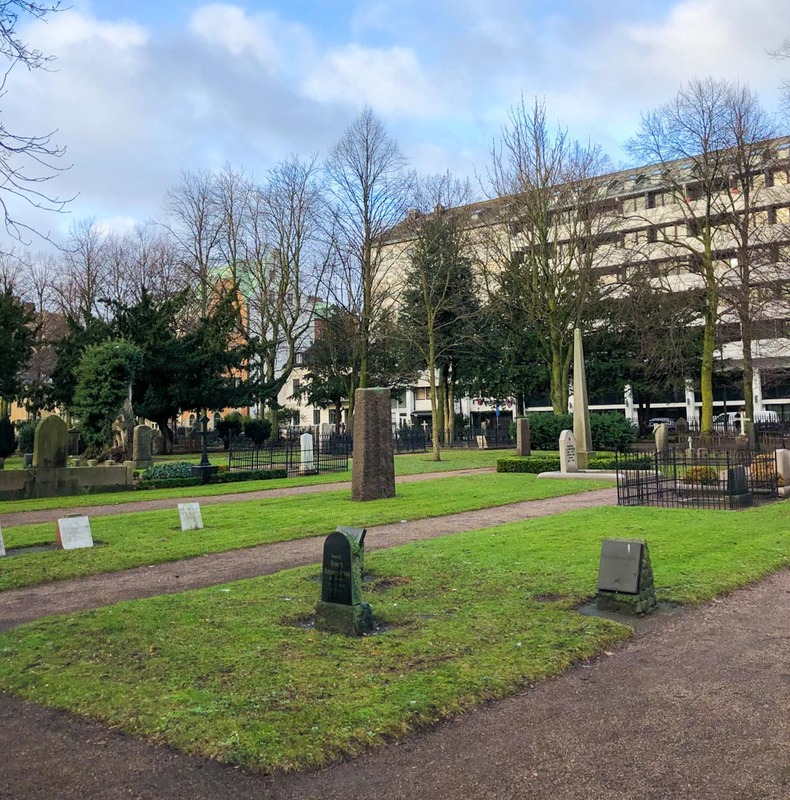 The west part of the with Gustav Adolf Torg ends with Malmö old cemetery Gamla kyrkogården and once you pass it you get to the gorgeous city’s library. Malmö Stadsbibliotek is compound of three buildings. 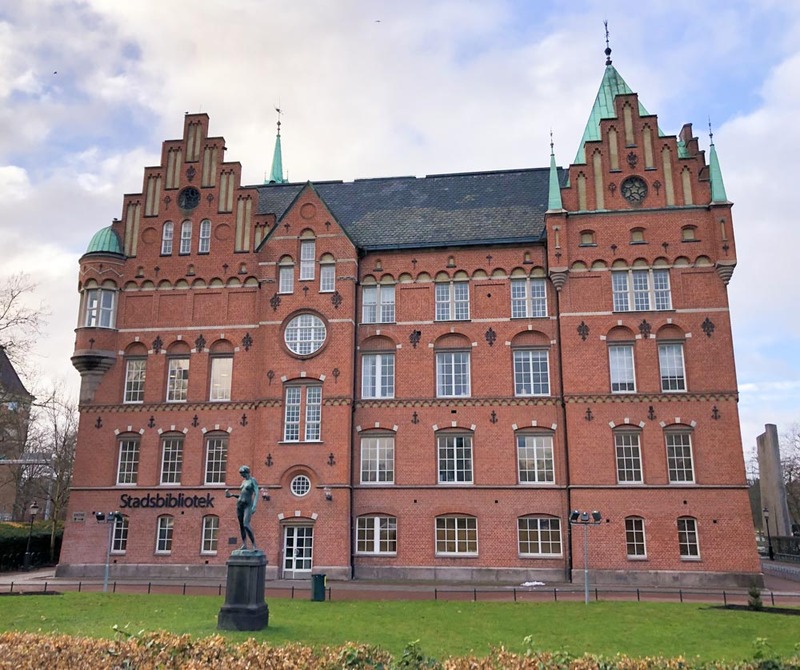 First is the historical “The Castle”, to which library moved in 1946, the second is modern “The Calendar of Light”, designed by the Danish architect Henning Larsen in 1997, and third “The Cylinder” connects both buildings. I was really sad that library was closed for the holidays and I could not explore its interior. Malmö also has a castle. 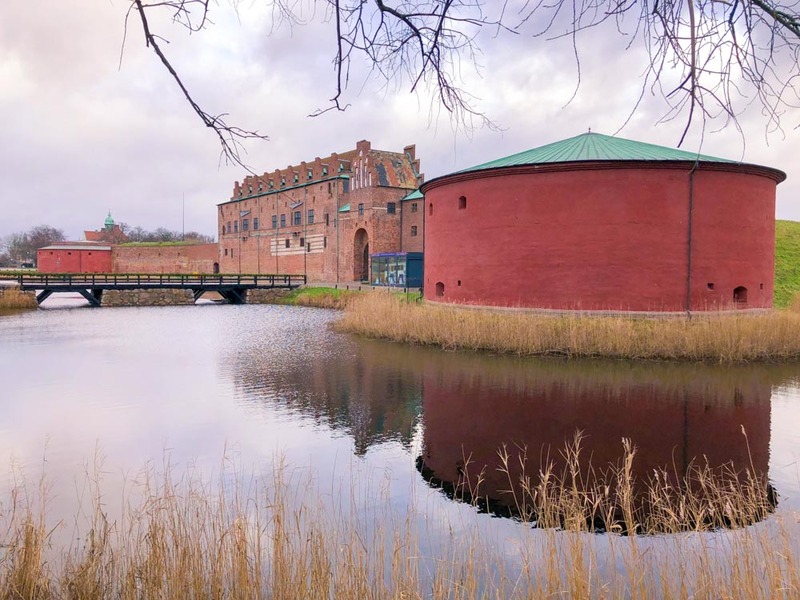 It’s called Malmöhus Slott and it was built by Eric of Pomerania, king of Denmark, Norway and Sweden in the 15th century. 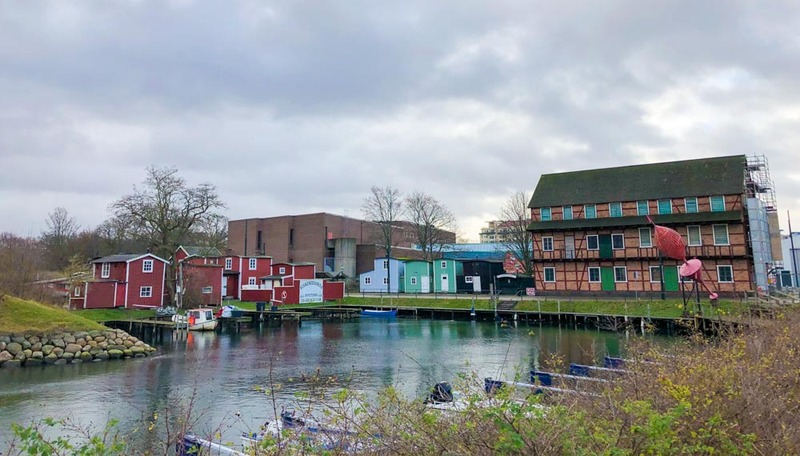 Today the castle holds museum, in which you can learn about history, natural history, technology and seafaring, there is also an aquarium. There are three parks surrounding the castle: Kungsparken, Slottsträdgården and Mölleplatsen. They are full of walking paths, ponds and lakes. 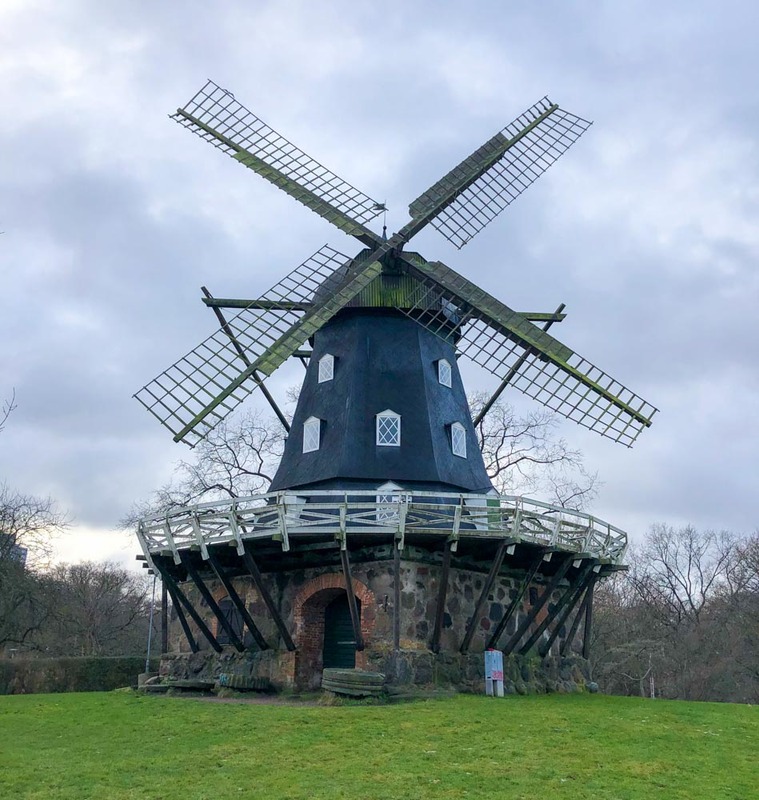 In the Mölleplatsen you can also visit gorgeous Castle Mill. And information for the seafood lovers; nearby you can visit the fish market Fiskehoddorna. 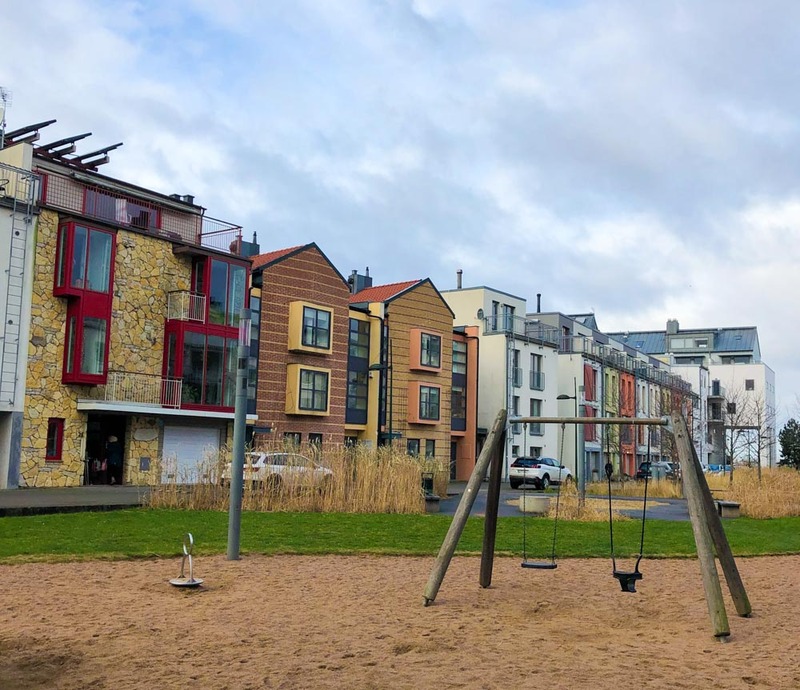 Västra Hamnen, which translates to Western harbor, is a new district in Malmö, situated on the former shipyard area right next to the sea. 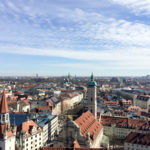 It is full of modern buildings and green areas, what is even better, it is completely self-sufficient in energy supply. 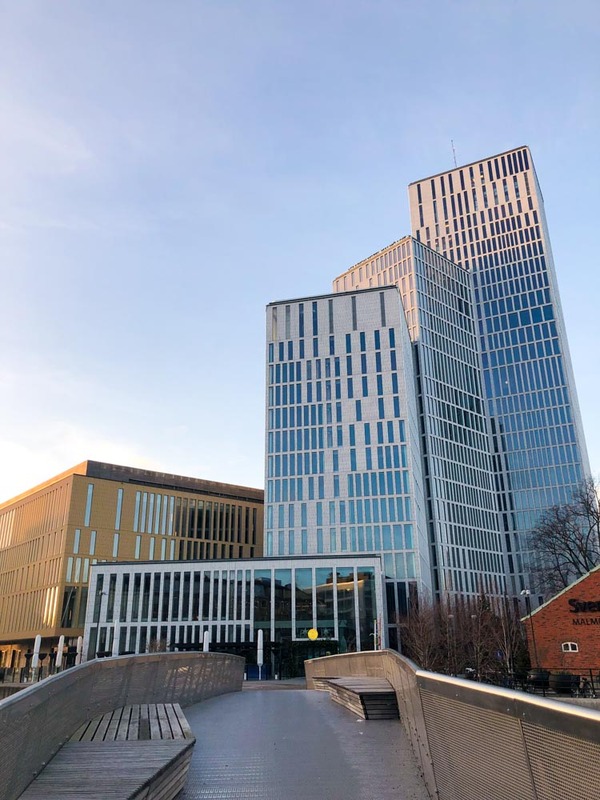 It is also a home to the Turning Torso building. 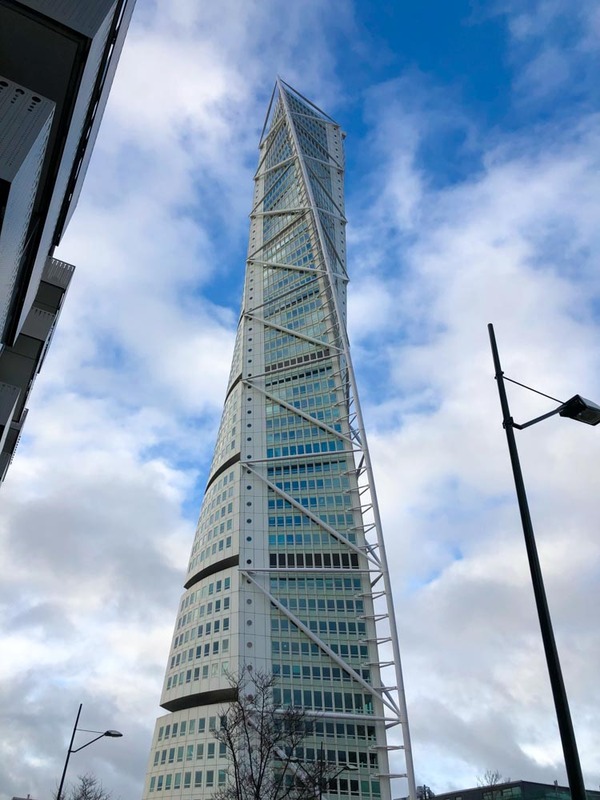 With 190 meters it’s the tallest skyscraper not only in Sweden but whole Scandinavia. It was designed by the Spanish architect Santiago Calatrava and is based on his sculpture of a twisted human body. When visiting the district also take a walk at the seaside promenade Scaniaparken, where you have a nice view over the Øresundsbron. The famous bridge connects Sweden and Denmark since 2000 and consists of four kilometers long tunnel, an equally long artificial island and seven kilometers long bridge. 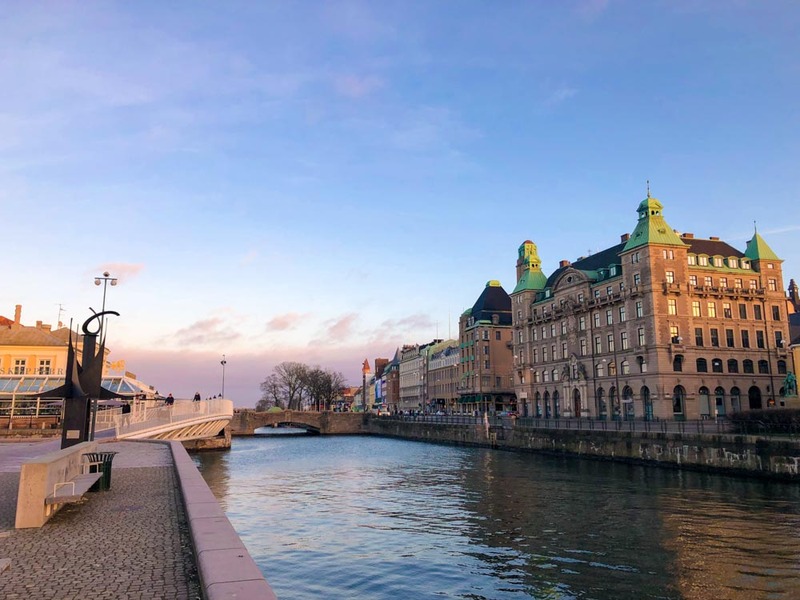 Take a stroll around the main train station and enjoy its canals, surrounded with a mix of historical and modern buildings. Pass the canal on the bridge next to the concert hall Malmö Live Konserthus, the bridge will play you some music. 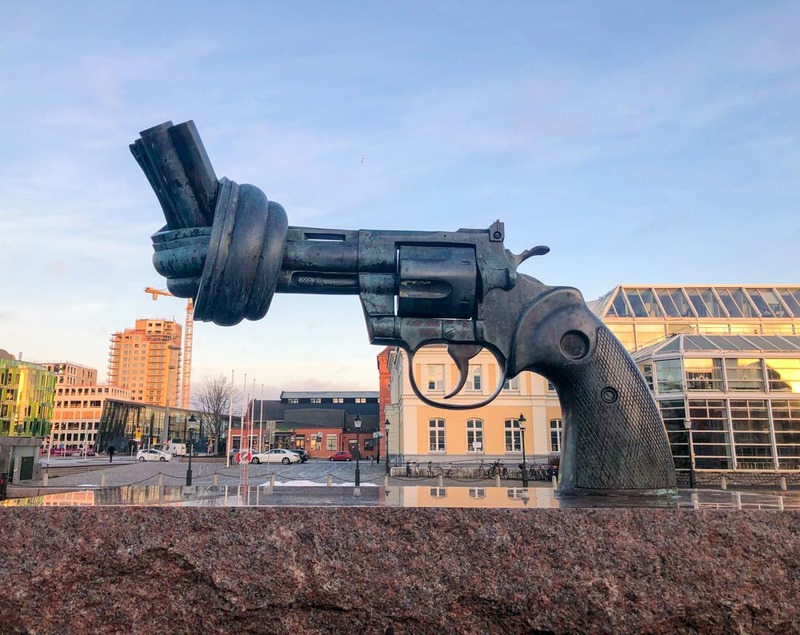 Visit the Knotted Gun, a non-violence sculpture, which is a tribute to the singer and songwriter John Lennon. Stop at red and white Malmö Old Light House. And the food court at Centralstation is open also on Christmas day, if you were wondering where we ate. Nice blog remembers me on time when I was there, except I didn’t see half of what you wrote about.